I've been the producer and host of my own WEEKLY radio show that is podcasted live! The radio station is in Texas and I do the show by phone with my guests. Each week for 6 years I've interviewed and chatted with 2 to 4 guests a week. And ALL the shows are recorded for you to hear! You can listen right on your computer while you do other things. Or many people are listening while they sew, wait for appointments, sitting at ball games and one lady even told me she listened to the shows when at a very long dentist appointment. It kept her mind on a fun topic! So how do you listen if you are not sitting at a computer? I'll show you! 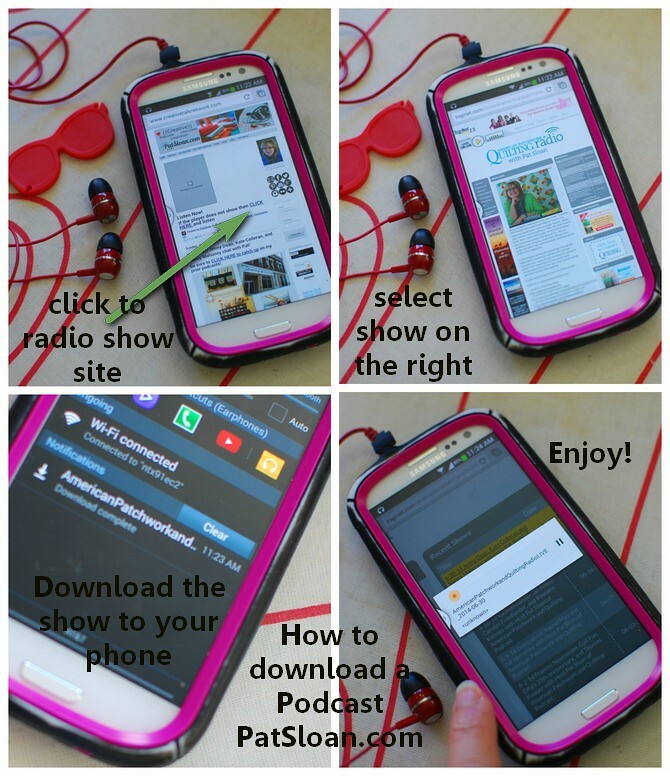 You can either listen by streaming the show on your tablet or phone, or by downloading the show onto your devise so you can listen without being hooked to the internet. 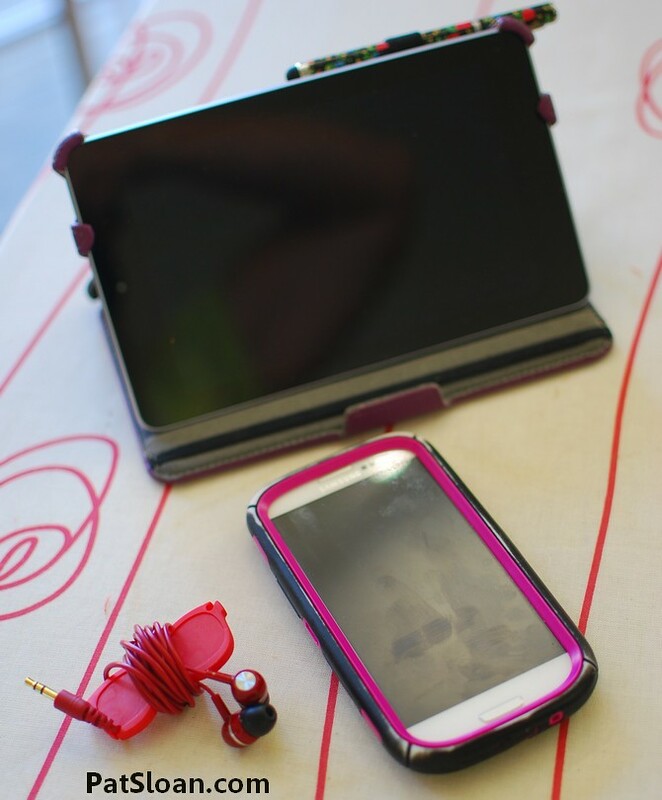 Don't you love my holder for my earbuds? I think I got it in a dollar bin somewhere! And it's red.. and so are my earbuds.. red red red.. oh.. I digress! 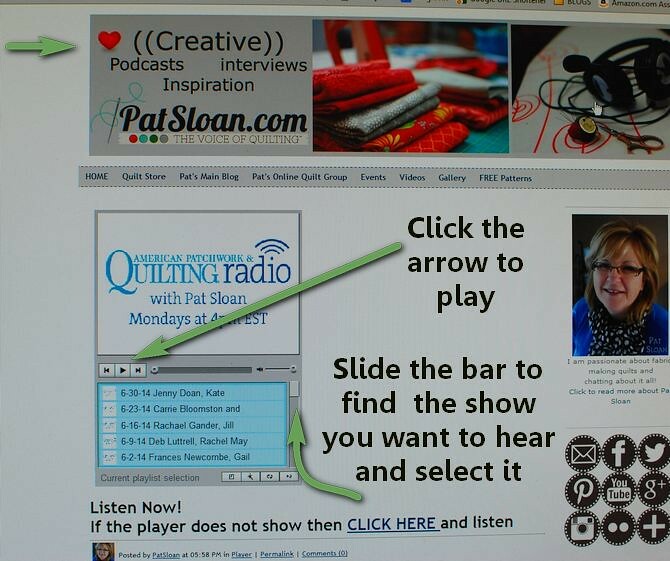 To stream on your phone or tablet like you do on the computer, just go to my CreativeTalk website. It's a tab on the top navigation bar of my blog and website. But some of you won't have the app to play it.. or maybe you would rather download to listen when you don't have internet connection. When the download is done, click it and the show starts! I'd love to have you join me each week! Subscribe on iTunes and CLICK HERE to LISTEN at my Podcast page! FOR MY LASTEST Newsletter online CLICK HERE and sign up for your own under my photo on the right!